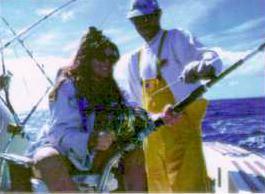 A day on the Pacific with the friendly, experienced, and professional crew of Inter-Island Sportfishing will provide every engler with a fully customized charter to suit their exact needs. With a 95% success rate, the luxury vessel fleet provides anglers with top-of-the-line Penn International Gold and Shimano Reels aboard their clean, comfortable and spacious 53' Maggie Joe, and 46' Mazel Tov Sportfishers. No experience or fishing license is required and anglers are asked to bring their own food and beverage. Coolers and ice are provided. Box lunches and catering is available by pre-order for convenience. 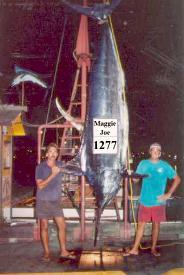 937 lb on Seahawk and 751 lb on Maggie Joe. 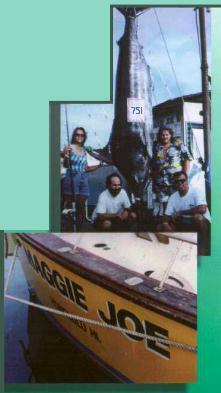 The Seahawk also holds a record for Most Marlin caught in one day with an astounding eight (8).